Today’s townland is Rosemount, on the Ards Peninsula in County Down. Rosemount is right beside the village of Greyabbey, beginning behind the shops on the south-eastern side of Main Street. 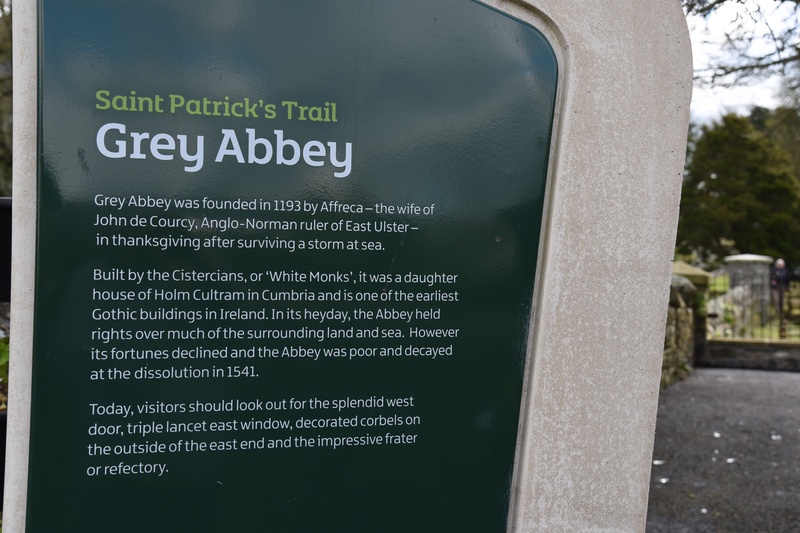 It includes the abbey itself (which surprised me, because I assumed the abbey would be in the townland of Grey Abbey). 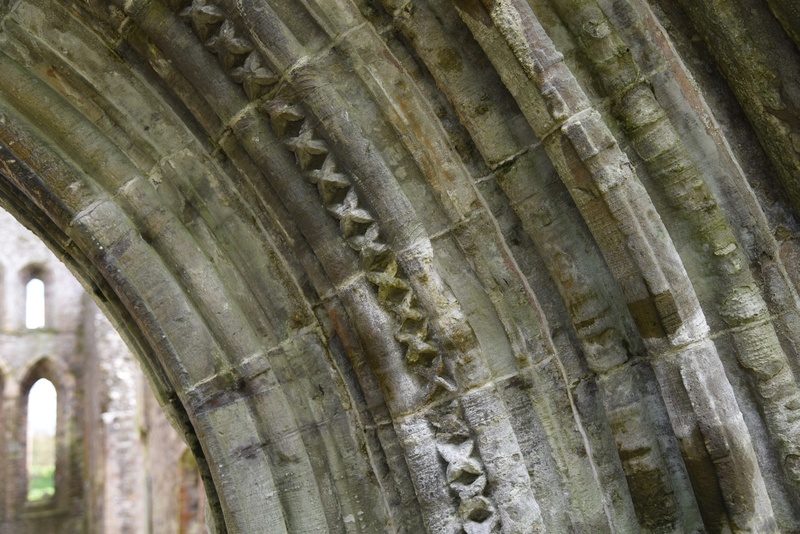 The abbey was founded in 1193, for Cistercian monks, and was dissolved in 1541. The ruins have been in public ownership since 1907. It’s a lovely place to visit, and peaceful apart from the birds (crows or rooks or both?) shouting from the treetops. 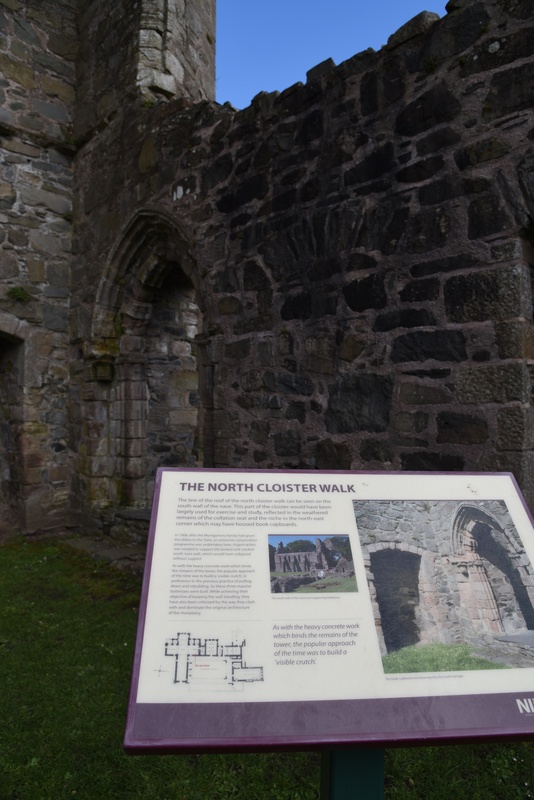 As you walk through the ruined buildings you can read panels describing their history. Or if you are happier with an app, you can listen to a new audio guide: click here for information on downloading the guide. So why is the townland called Rosemount? According to the website at PLACENAMESNI, Rosemount was the name of a house built in 1634 by Sir James Montgomery. 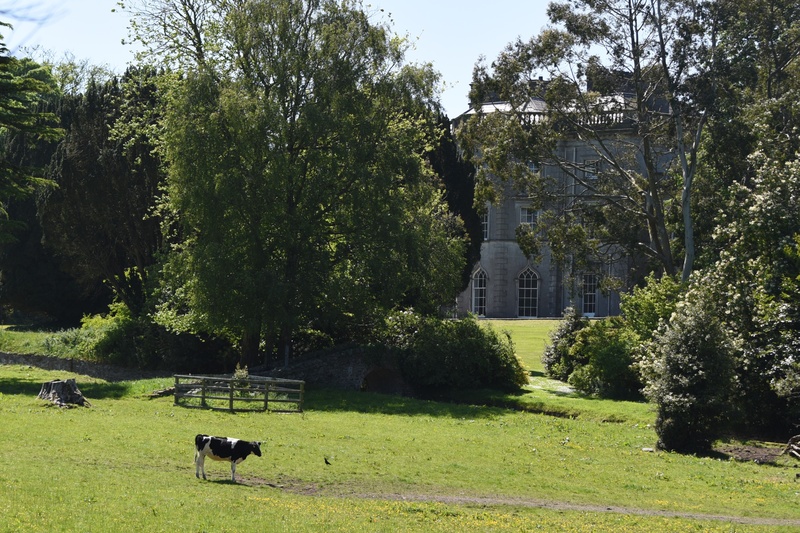 In 1638 Sir James received a grant from the Crown of the lands in his possession in the parish of Grey Abbey, and the house-name Rosemount came to be applied to the whole manor. The original Rosemount House is gone, but the Montgomery family still live on this estate. The present house was built in the 18th century and is known as Grey Abbey House. 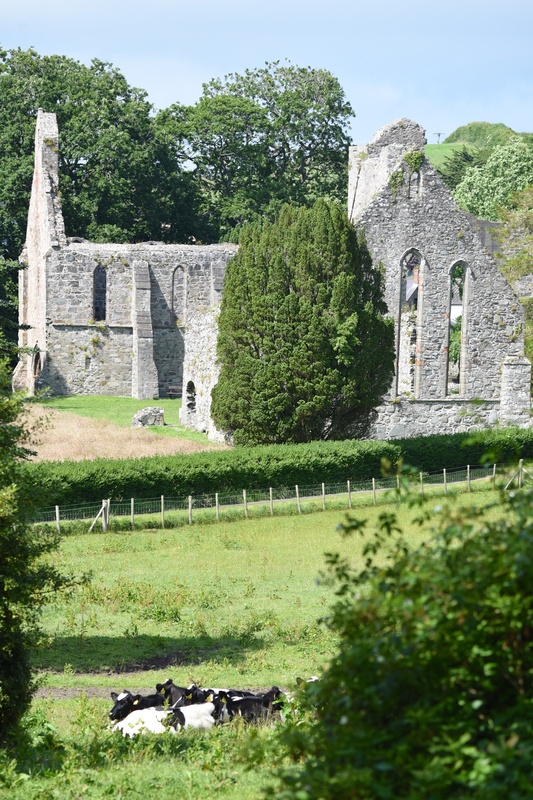 It is visible across the parkland from the abbey. I was lucky enough to get a closer view when the gardens were open to the public for the Ulster Gardens Scheme on 25th June 2016. 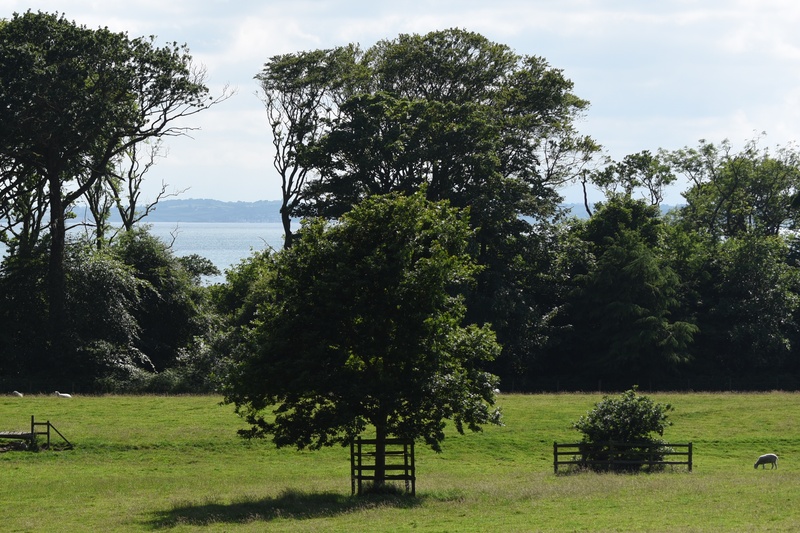 Within the sheltered grounds of the house and abbey it’s easy to forget that you’re right on the coast, on the eastern shore of Strangford Lough. 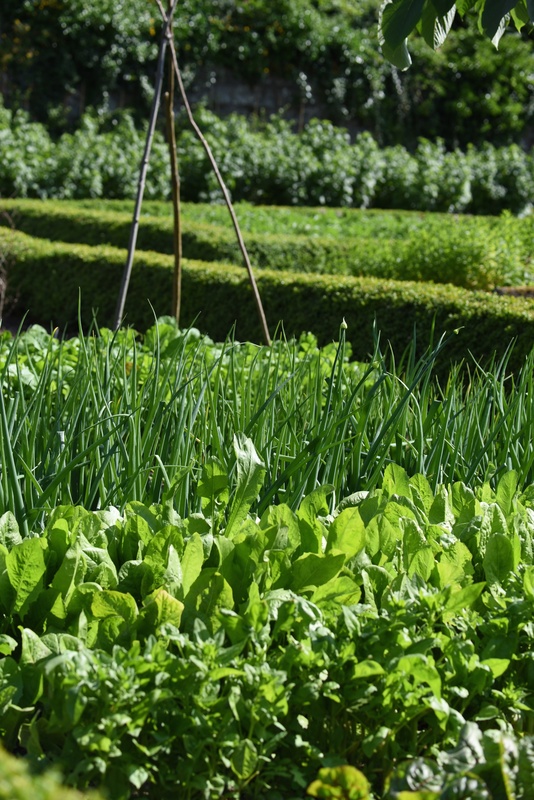 On the day of my visit, the vegetables were doing well in the walled kitchen garden. 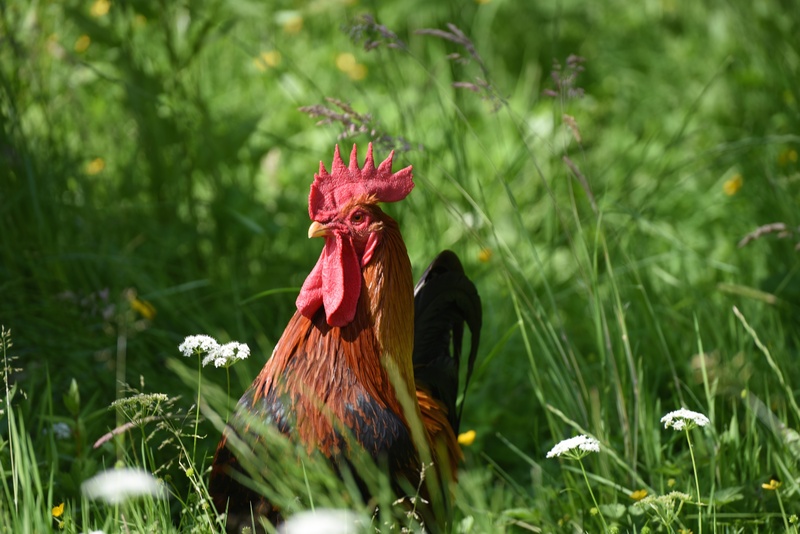 And the rooster was keeping an eye on all the visitors. 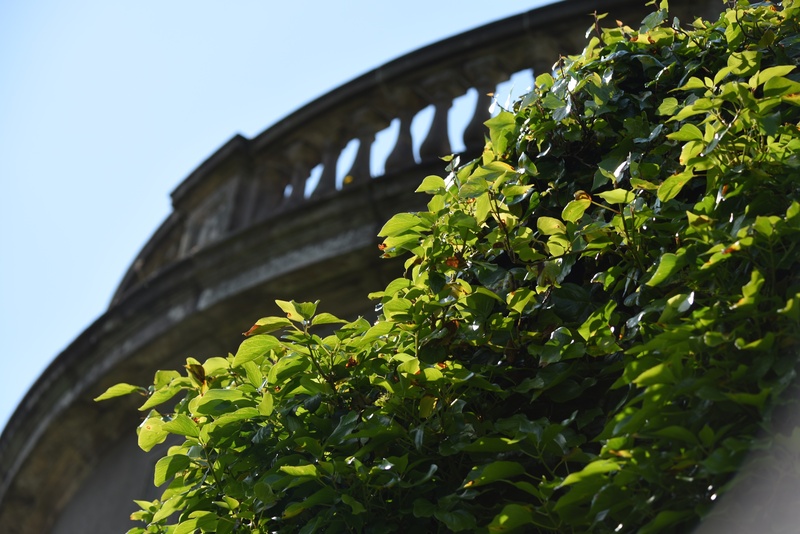 Click on these links to read more about Grey Abbey House – on their official site, and on another blog. Which townlands border Rosemount? To the west, Grey Abbey. To the north, on the other side of the B5 Ballywalter Road, Ballynester. To the south, Ballybryan and Bootown. Click here to see a map of Rosemount on TOWNLANDS.IE. Never been here. Another for the list. Thanks!